Last friday, I spent the day in Shinjuku with my friend, Sara, buying a few beauty bits and bobs. And of course, I had to stop by the Addiction counter and get a peek at the products for the upcoming 2014 Fall/Winter Tokyo Story Collection. Due to feeling overheated-Summer-time-gross, I forgot to swatch the eyeshadows and blushers. The collection features six new individual eyeshadows, and trust me, they're beautiful. Also included are four new blushers, and do I have to tell you how stunning they are?...especially, the vivid red and orange blushes. From left to right: 108, Black River, Rikyu, Shikibu, Forbidden Colors, Tokyo Story. The new Liquid eyeliners are pigmented, and come with a good brush...and, although they are not waterproof, they seemed to wear well. 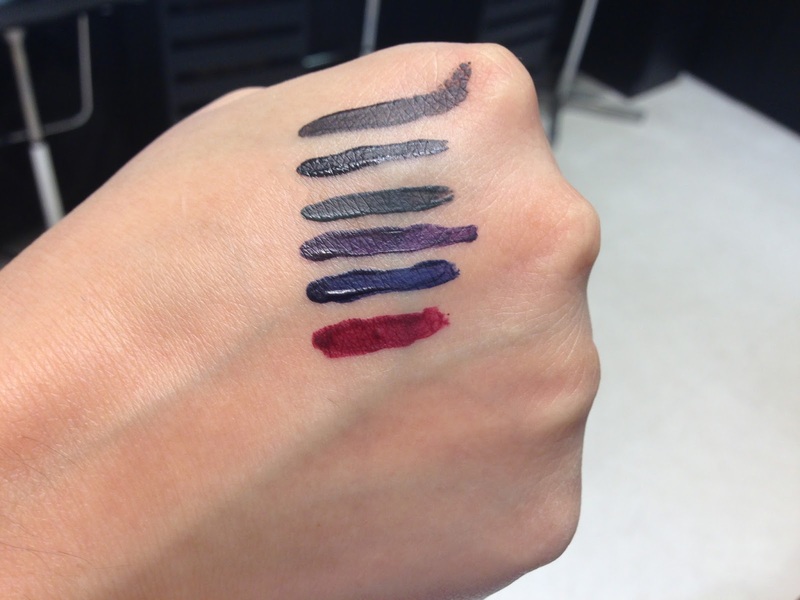 My must-have shades are Tokyo Story (my fav), Shikibu, and forbidden Colors. The Film Mascara Long & Separate in Black River. Liquid Eyebrow in Cinnamon and Marron. Double Suicide (love the name) & Blue Moon Nail Polish. After some shopping, we decided to take a break and grab some lunch at Harbs. 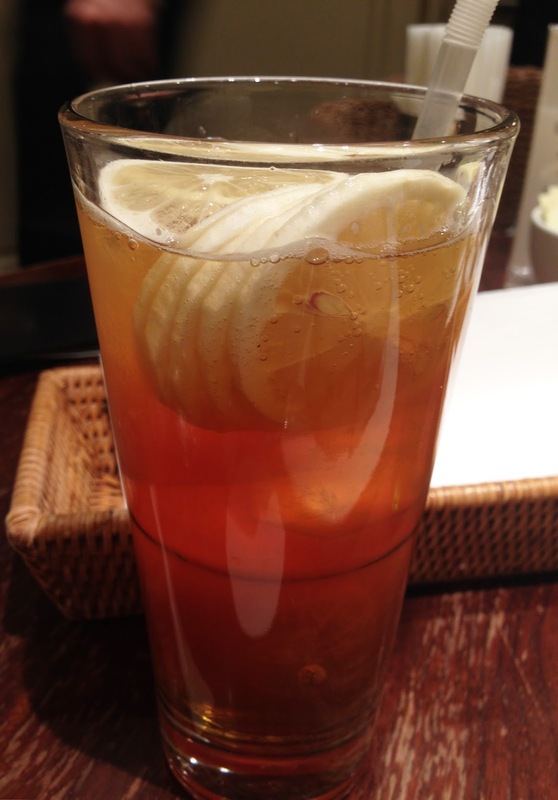 I ordered the limited edition Sparkling Honey Lemon tea, and it was mellow and tasty. 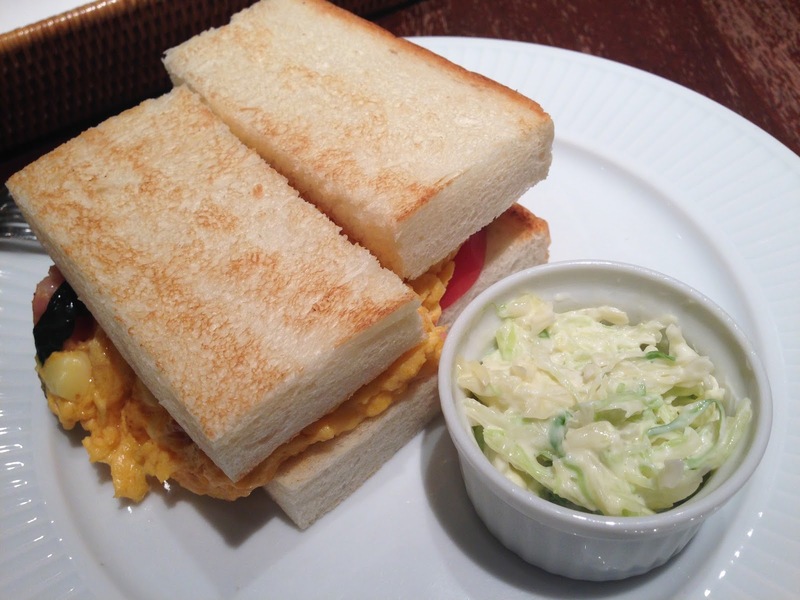 Given my love for breakfast foods, I had their AH-MAZING omelette sandwich that is served with a refreshing side of coleslaw. 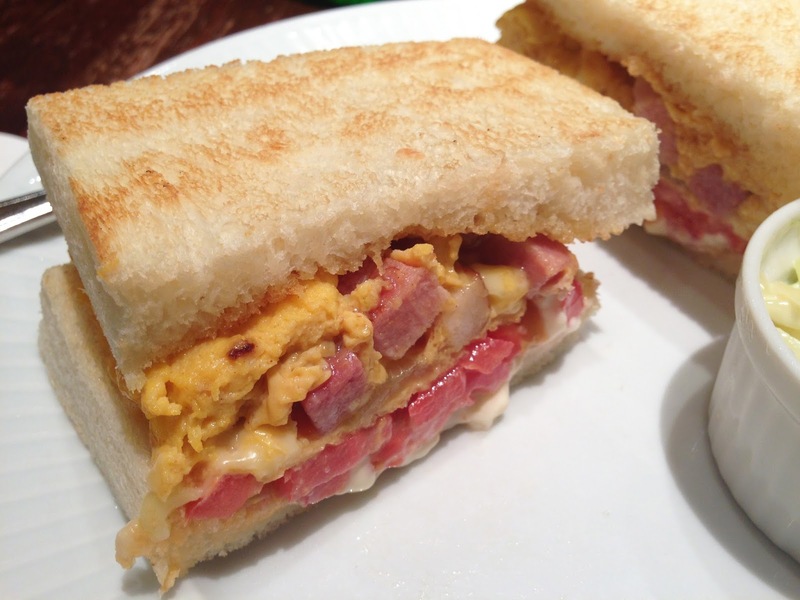 This sandwich has to be one of the best breakfast sandwiches I've ever had. The texture of the egg was perfect, the veggies were firm and crisp, and the ham was juicy and savory. And, what a better way to end a fantastic meal than with a fantastic dessert. 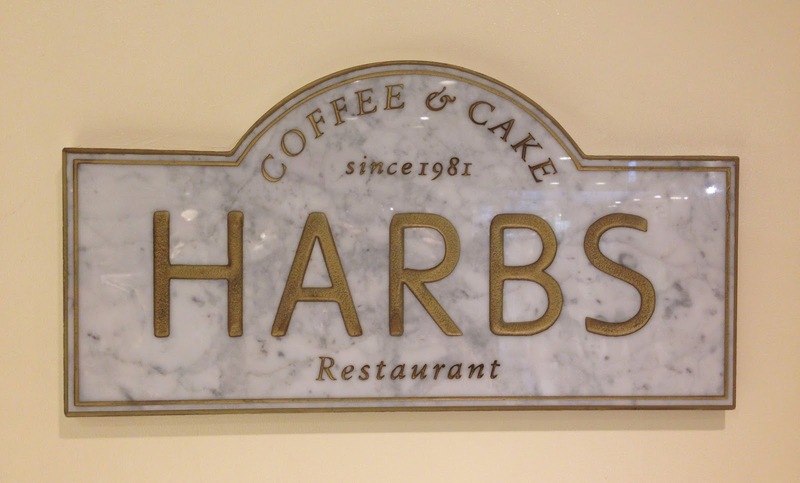 Harbs offers an array of delicious cakes. 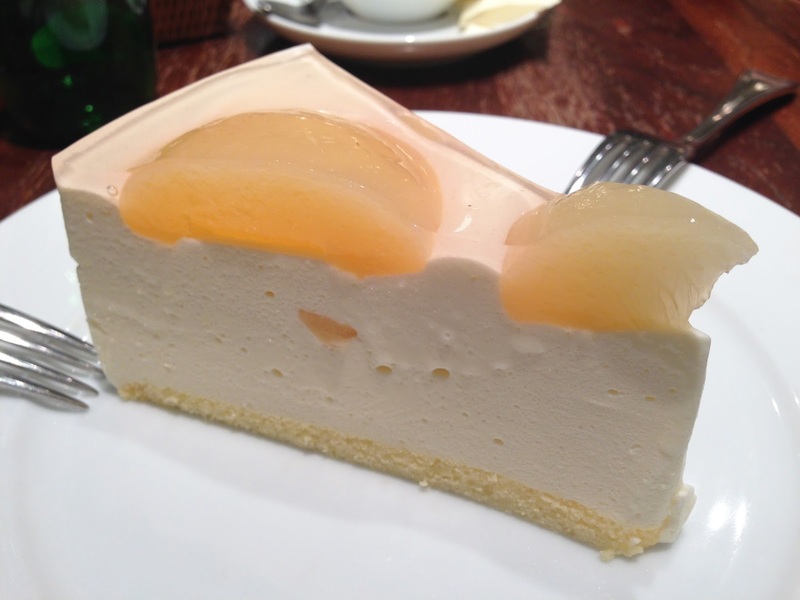 This time around, I ordered the Pear Cheesecake, and it was excellent! After lunch, we continued shopping, and headed back to Isetan for some more makeup purchases. Now, Whenever I'm in Shinjuku, I have to have Laduree's soft serve ice cream in Paeva. To my horrified shock, it was not on the menu. I hope/pray that this is a temporary thing, if not, someone is going to be receiving a hostile petition! I like pistachio, so I gave the new flavor a try...what a disappointment! I had my heart set on my beloved Paeva (posted on here), but instead I get this ice cream that looks as if Father Christmas was ill in a Laduree cup. There was NO harmony in these hodgepodge of flavors, finesse or artistry, that I would except from Laduree. 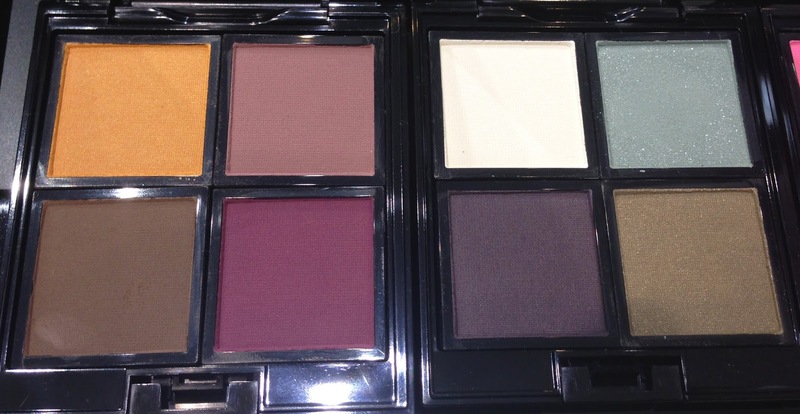 Oh my goodness those eye shadows are beautiful and appropriately autumnal! Are you planning on getting any? That bottom right one reminds me a lot of Safari Mode. Sorry to hear about the Laduree incident... Discontinue my cosmetics if you must, but don't touch my food! Hey Toby! I'm planning on getting everything! Treasure Mountain is a khaki green whereas Safari Mode is a Spanish olive green with a tarnish gold sheen. I went back to Laduree to see if my violet ice cream back, and no luck. Thanks for the Addiction preview....would love to see more swatches/looks if you end up partaking. Hi Unpaletteable :) I will be partaking, but I have so many Summer purchases to use, and it's just way too hot and humid for any fall looks. I will post once it begins to cool down. I am feeling some intense makeup lust for that happy orange eyeshadow.... * __ * AH such unrequited love for all the rusty-pumpkinny shades that has been following me since last autumn! I love my deep, russet, and pumpkinny shades. I'll probably be picking up most of this collection. At the moment, I'm focusing on the le items. 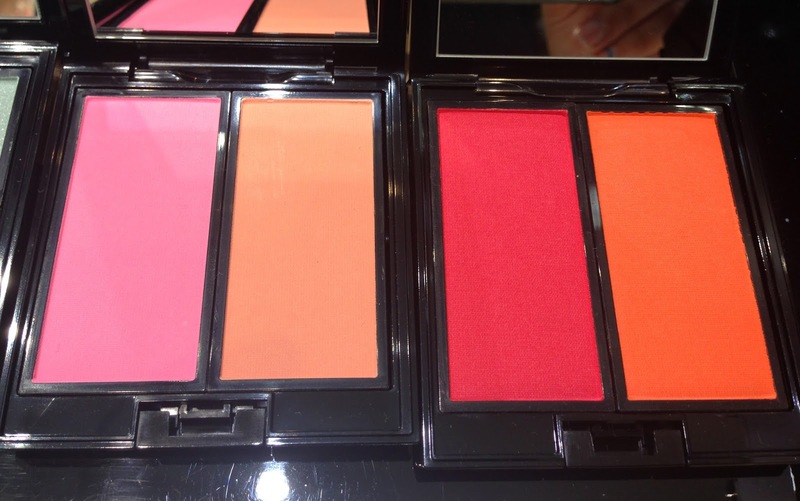 Well, I'm a blush fiend, and my eyes immediately zoomed in on the red and orange blushers. GORGEOUS!